This is getting a little ridiculous. 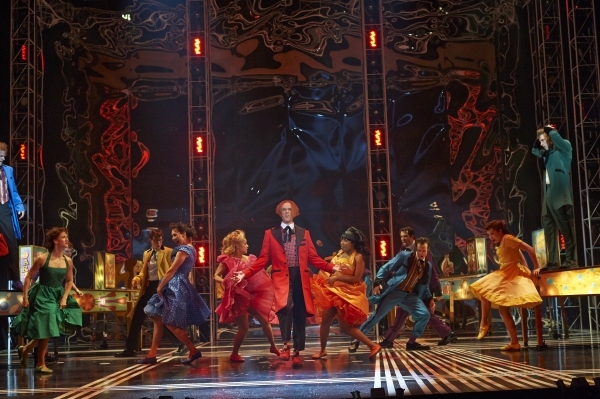 Once again this year, the best productions at The Stratford Festival were musicals. Now, unlike last year, it’s not actually that big a deal. New Artistic Director Antoni Cimolino didn’t stack the deck with four musicals against three Shakespeare like the 2012 season; he gave Shakespeare (and straight plays) more than its fair shake. It just didn’t really work out this time. What I liked about this season when it was announced was the thematic links between selections- Fiddler on the Roof and Merchant of Venice together form the base of Jewish stories in western theatre; Othello adds to their themes of marginalized “other”-ness insightfully; R&J taps into the societal polarization present across all of those. It was a truly excellently constructed season. It’s just coincidence and bad luck that it turned out a little screwy with one of the worst productions in years dragging down the Shakespeare contingent and the one-two punch of Donna Feore and Des McAnuff bringing their directorial A-game to the musicals. Both Fiddler on the Roof and Tommy were Excellent. Fiddler on the Roof was the best Stratford production of the year by just being a perfectly executed version of exactly what that text is. Feore didn’t re-imagine the oft-produced and endlessly familiar story of Tevye and his daughters. I’m not sure there really is a way to re-imagine Fiddler on the Roof. It’s so dependent on its time and setting, a time and setting that is, by definition, strict. All you can do is tell the story well. And Feore did that with lively (and excellently choreographed) staging starring season MVP Scott Wentworth as the witty patriarch whose flawless comic timing helps navigate the audience through his heartbreaking story. Fiddler on the Roof stands the test of time for a number of reasons but by far the most solid is that it has one of the best books in musical theatre. The book is the downfall of so many would-be-great musicals, throwing lackluster lines in between songs to fill in plot holes and dispense with exposition. Sometimes the book doesn’t even have a story worth telling, it’s just a hastily assembled throughline connecting unrelated songs. 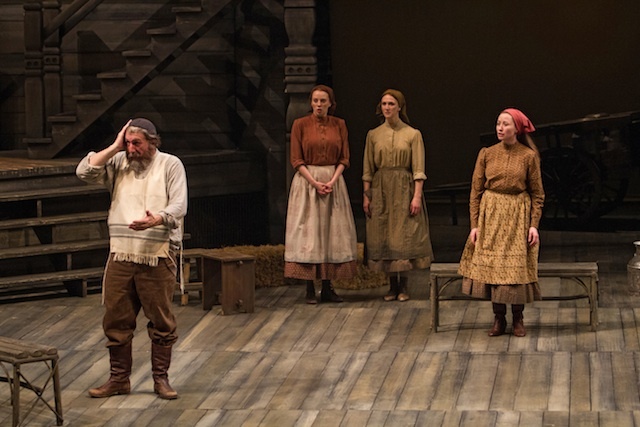 But Fiddler on the Roof accomplishes the confounding feat of being laugh-out-loud funny in both its lyrics and (the real shocker) its spoken dialogue while also telling one of the most emotionally riveting dramatic stories ever. It’s about faith and community and oppression and hate on a global level; it’s also the intensely personal story of a father coming to terms with his daughters becoming their own people. It’s heartbreaking and uplifting and one of the most profound ruminations on faith in the modern theatrical canon. It is, for some reason, easy to dismiss Fiddler on the Roof as a cheesy oldschool musical but, when done by an expert dramatic company, it’s serious drama. And decent comedy. And altogether fantastic. Joining Wentworth was the usually excellent Kate Hennig as Golde, but she was replaced by a decent but unmemorable understudy when I saw the show so I don’t have much to say there. Andre Morin played a sweetly goofy Motel (“Wonder of Wonders” will always be a personal favourite for the sheer joy of it) and Paul Nolan made his post-Superstar return to the festival as a tender and endearing Fyedka. Helping out in the tenderness department was his beautiful Chava (Keely Hutton), the production’s best non-Wentworth star, making her stunning debut in a leading role. The other standout for me was Mike Nadajewski’s Perchik. As the key progressive Jewish voice in the play, Perchik’s importance is hard to overstate and the always-great Nadajewski brought the perfect blend of intelligence, naive ambition, and genuine kindness to the role, matched well by Jacquelyn French’s bright and charming Hodel. 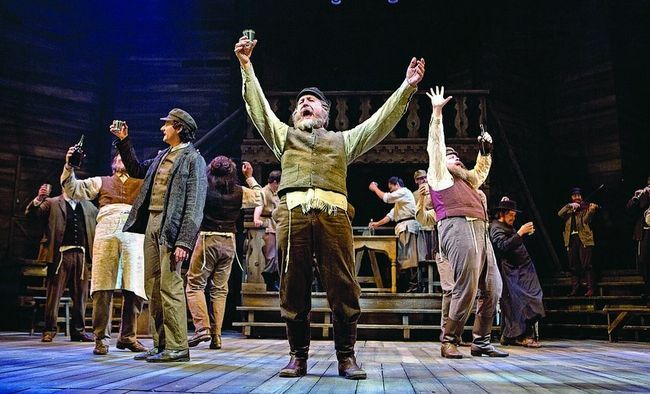 Led strongly by Wentworth on a path expertly laid out by Feore, the fantastic ensemble of Fiddler on the Roof did more than scratch out a little tune without breaking their necks, they told a beautiful story as timelessly as its ever been told. Tommy was less complicatedly excellent. Its thematic connection to the other plays in the season can be forced if needed but Tommy’s purpose was fairly clear-cut: it was Stratford’s farewell to its Artistic Director of 5 years Des McAnuff. Tommy is a Des McAnuff show. 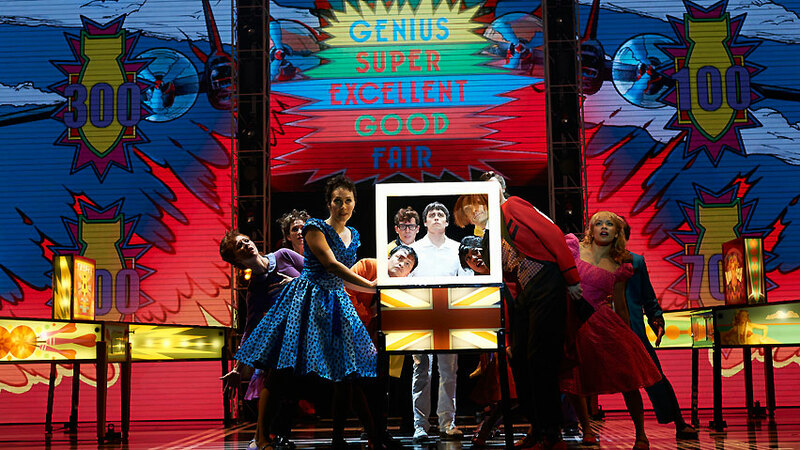 The 1993 Broadway production won him his first Tony Award for direction and set in motion a world-class career that would be, in large part, defined by the rock musical genre. During his tenure in Stratford, McAnuff’s greatest successes were the productions that most openly embraced that wheelhouse (most notably 2011’s rousingly musical Twelfth Night and Broadway-bound Jesus Christ Superstar). 2013 was supposed to be McAnuff’s final year as Artistic Director but when Cimolino was chosen as his successor, he decided to cut the transition year and let the former General Manager jump in a year early. Thus, in a final nod to Des, good ole Antoni gave him his defining musical to direct, putting the McAnuff stamp on one final season in a big way. And what a stamp that was! There was fire, thrilling LCD screens, projections, flying, a big cast throwing themselves into some pretty badass choreo courtesy of Wayne Cilento, vibrant period costumes by David C Woolard, and an awesome colour-coded style. What McAnuff can do with a big budget is unparalleled in production value; his creativity only knows bounds when the accountants say so or he’s dealing with a text that runs the risk of going over the top. Tommy did not run that risk. Tommy is so flipping weird already that absolutely anything and everything McAnuff could throw at it only served to make it more fun. (50 points to Ravenclaw if you spotted McAnuff singing amidst the computer-generated crowd outside the Walker home in Act II). The ensemble, like the production they populated, brimmed with energy and fun, and so the audience did too. The standouts included leading man Robert Markus who brought a quirky, sympathetic power to the enigmatic underdog/hero Tommy; Kira Guloien who was lovely and strong as his determined mother Mrs. Walker; Jeremy Kushnier whose kickass rock musical voice was on perfect display as Captain Walker; Lee Siegel whose kickass voice in general remains a standout in whatever throwaway role he’s given (seriously, stop giving this guy throwaway roles; I’d listen to him sing the ABCs); and Paul Nolan who it was so nice to have back in full ball-of-energy form, perfectly cast as sneering hanger-on Cousin Kevin. I also loved the young Tommys: the absurdly adorable Adrienne Enns as the 4-year-old incarnation, and Joshua Buchwald as the 10-year-old version, showing off a seriously great singing voice for a boy that age. I’d seen Tommy before and it’s really just not my thing. I like a strong story with style as a secondary element. And Tommy’s just not a story-first sort of deal. But I loved every minute of this one. Maybe it was the triumphant farewell tour tone that hung over everything but, with Tommy, McAnuff left the Stratford Festival on one of the highest notes he hit in all of his 5 years.